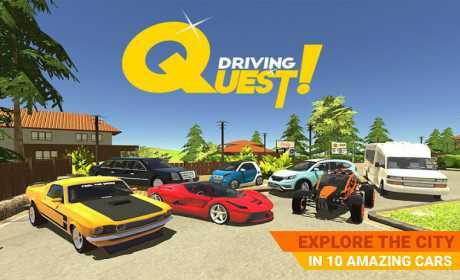 In Drive Quest you will sit behind the steering wheel of one of multiple varied cars, trying to find your way around a complex and detailed city environment. Collect hidden Keys to get through closed gates, find secrets and surprises hidden around every corner. Drive with speed and accuracy, passing the test for the ultimate driver! That’s only the start of your task though! Your real objective will change from level to level, keeping things interesting. 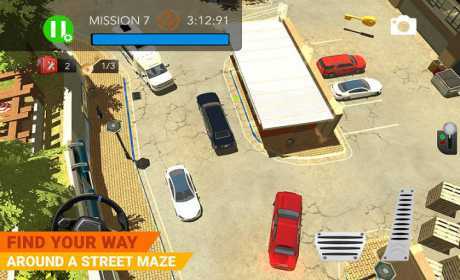 You will have to make car deliveries around town, find hidden Keys to solve the missions, drift a muscle car and more! Use your reflexes, observe the environment and try to complete all of the tasks as quickly as possible. Become a driving pro, using your skills to achieve better and better results. Remember – speed is important, but this is not a race. Remember to drive carefully and with precision. If you crash you won’t be able to complete your delivery or pass other trials. After you complete the task, you have to park precisely in the designatet spot. Learn to drive the car with skill and finish all assignments with the perfect parking. The top view camera used in the game lets you quickly react to your environment and drive ultra-precisely. Us it to observe traffic and obstacles that could hinder your progress. Test different approaches, choose the one thet lets you complete your task. Similarly, the analogue steering model lets you pull off very deliberate, precise manoeuvres. Don’t rush, get the feel of your car and drive it with care. With those features and your driving skills, there’s no Driving Quest that’s out of your reach! 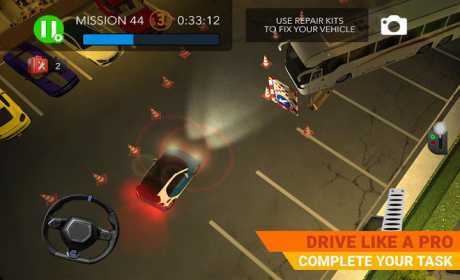 Drive safely though – the game also features car damage. If you damage your vehicle you will have to repair it by finding hidden Repair Kits! Treat your in-game car the way you’d treat your own! Are you ready for your ultimate Driving Quest! ?